"Digimon...digital monsters... Digimon are the champions!" Like many fans, I've always been more into the Digimon anime than the games. I host a Digimon podcast where we can talk about the anime for hours, but none of the games really gripped me—until Digimon Story: Cyber Sleuth. From the franchise's origin as virtual pet toys to an anime focused on emotional development, Digimon has always orbited around one core principle: growth. Cyber Sleuth is the franchise's latest entry in a nearly 20-year history of constant reinvention. With deeply rewarding gameplay, an engaging plot, and a stylish new coat of paint, Cyber Sleuth is exactly the growth spurt DigiDestined have been waiting for and an exciting starting point for new fans. 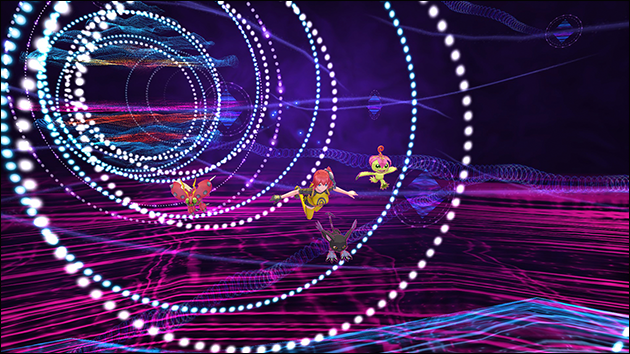 Cyber Sleuth jumps between Tokyo and the virtual reality world of EDEN, where rumors say that hackers employ scary (but cute) digital programs called Digimon. 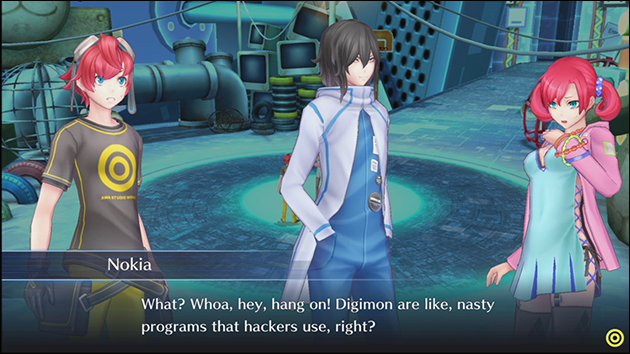 After initial events unfold, you play as a Digimon-collecting hacker detective sent to investigate Digimon-related cases and the mysterious phenomena starting to encroach on the real world. The story is divided into 20 chapters but really shines in its second half. One of my favorite aspects of Digimon is the series' focus on relatable, ordinary kids from real-world settings, and Cyber Sleuth's real-world setting is fantastic. The player's home base is Nakano Broadway, a famous real-world building popular for its anime and manga shops. The game is practically a tourist's guide to Tokyo, featuring many locations on an anime fan's bucket list: Shinjuku, Shibuya, Akihabara, Asakusa, Ueno and Odaiba. The initial framing of Digimon—as whimsical and dangerous hacking utilities lurking in the internet—is immediately compelling and effectively creates a world that feels similar to our own despite the presence of fantastical monsters. It also leads to some downright fun ideas: why does your phone game keep crashing? Probably because a Digimon is living in your phone and hogging it for themselves. Why are mysterious CDs showing up in the record store? Probably because a Digimon is desperate to get people to listen to his new single. There are lots of other amusing scenarios with fan-favorite Digimon that play off of additional context from the rest of the franchise. Stuff like prepping a Piedmon for a job interview, teaching a Kabuterimon that he looks too scary for a little girl, a Lillymon taking too many selfies, a Myotismon and BlackWarGreymon upset for being typecast as villains in a movie and more. Cyber Sleuth also looks beautiful. Both the PS4 and Vita versions have crisp graphics and a stylish design sense. The Digimon themselves look perfect and really capture the familiar anime designs as cel shaded 3D. 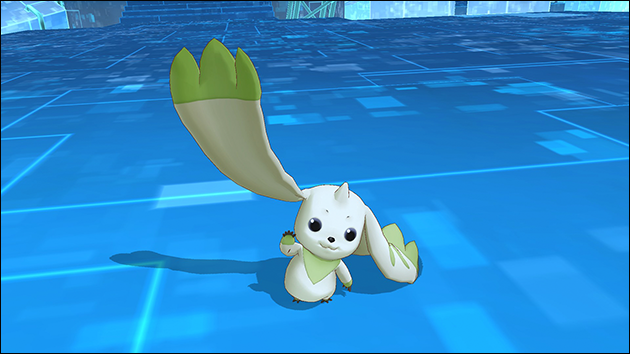 Every Digimon (240 total in this game) features a unique special attack animation, victory pose, and walk animation. It feels like lots of love went into fleshing them out. This Stateside release retains the original Japanese voices, which sound great and should excite fans who enjoy watching anime subtitled. The core of this game, what I found the most gripping and fun, is digivolution. Unlike in the anime, when the Digimon digivolve in Cyber Sleuth they stay evolved, although you can de-digivolve if you want. 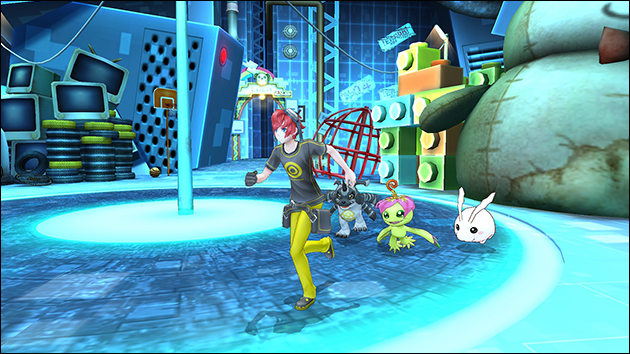 Most of the Digimon in Cyber Sleuth have several branches in digivolution options. These options are presented with silhouettes for undiscovered Digimon, which is a fun way to retain suspense while providing just enough information for dedicated fans. 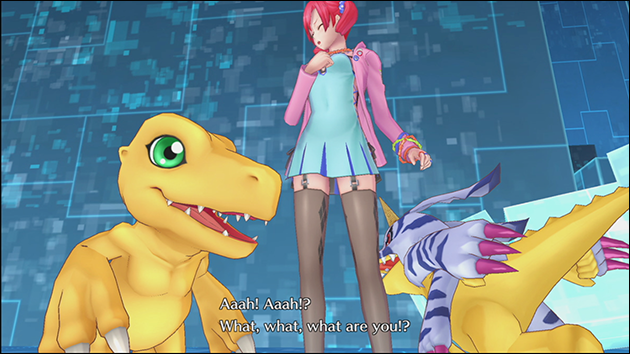 Digivolution and de-digivolution both reset a Digimon's level, but the game shares experience generously to get them back up to speed. For instance, the eight Digimon in your party receive the same experience as the three in battle, and you can store lots of Digimon in a DigiFarm to gain experience as time passes. By filling my DigiFarm as much as possible, I was able to constantly unlock new digivolutions and explore the digivolution tree. 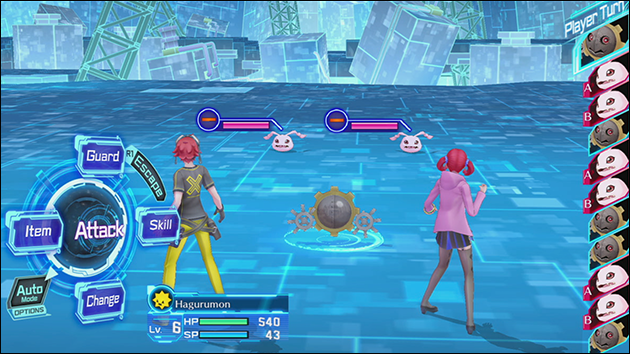 Battling in Cyber Sleuth is fairly simple, but allows freedom for advanced strategy. 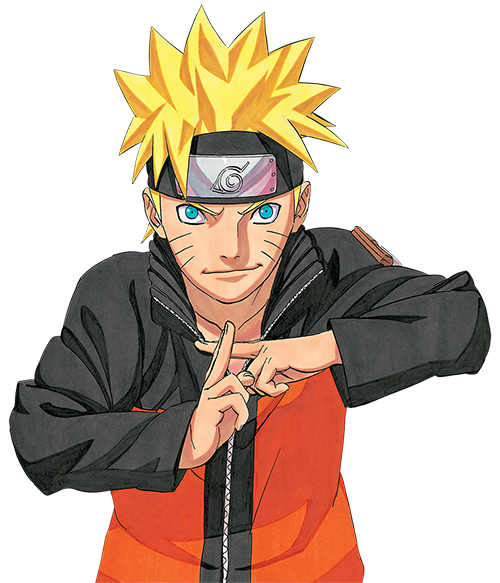 The most important aspect is the rock-paper-scissors damage multiplier from Digimon attributes—Virus, Data or Vaccine. Battles only feature three Digimon at a time, but you can carry an extra eight in reserve to swap out mid-battle, adding lots of potential strategy. If you're up against one "paper" enemy, the answer to send out three "scissors" types is obvious. But mixed lineups like two "paper" and one "rock" present interesting challenges. Upcoming turn order is displayed clearly (like in Final Fantasy X), which is really handy for devising strategy. Most fights until late-game bosses are very easy on Normal difficulty, so the Hard mode is worth trying for players looking for a challenge (though late-game bosses will probably require turning the difficulty back to Normal). Ultimately, Cyber Sleuth's greatest strength is supporting so many different styles of play. You'll enjoy this game if you just want collect all of your favorite monsters. You'll have a good time if you want to explore every possible digivolution. Or if you want to crank up the difficulty and focus on strategy. Or even if you just want to sit back with your three favorite nostalgic Digimon to watch the story. If you've ever been a fan of Digimon on any level this game has something prodigious to offer. Hint: If you want to unlock digivolutions faster, digivolve a Hagurumon or Keramon into PlatinumSukamon—if PlatinumSukamon is in battle at the end of a fight, all your party Digimon get 2x experience (you also get to fight by throwing metal poop).